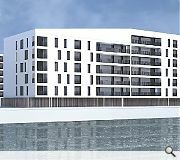 Vacant ground on Dundee’s City Quay is to be taken forward as affordable housing following the submission of new plans by JM Architects on behalf of Victoria Dock and Hillcrest Housing Association. 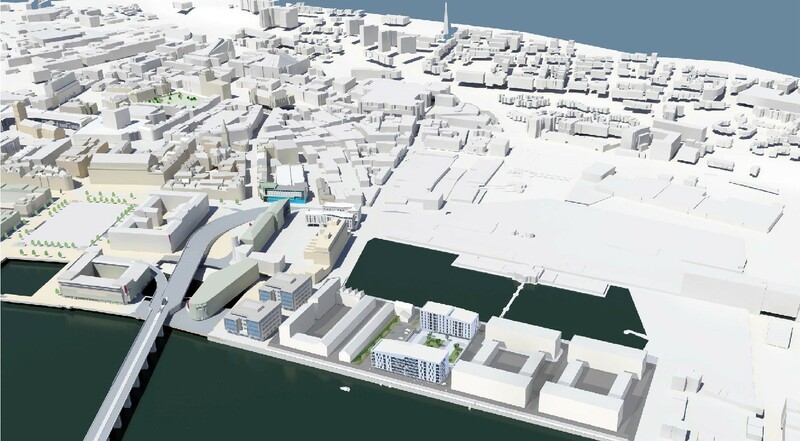 The pairing are looking to deliver 122 waterfront flats spread across two blocks of up to seven storeys, enclosing a parking and amenity space and including one ground floor commercial unit, on land sandwiched between South Victoria Road and Marine Parade Walk. 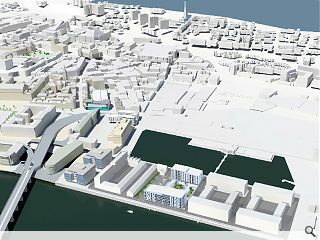 The site is a key component of Dundee’s waterfront masterplan which seeks to restore the city’s waterfront to prominence. 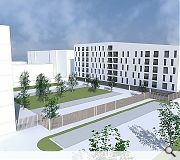 Subject to approval work could start by the end of the year, ready for occupation by tenants from late 2020. Well done Dundee for realising the potential of the riverside location and for the wonderful mixed use space they are creating. This could well be an excellent example for the rest of Scotland (particularly Glasgow) to find inspiration. I'm slightly un inspired by this. One small ground floor commercial space does not really constitute a 'Mixed Use' scheme in the true sense and then there is the parking screen at ground floor right next to the water, not exactly engaging if you are walking along the waterfront. It would appear that this is the 2nd half hearted scheme in Dundee by JM Architects. Though saying that it is slightly better than the recent context. Those flats looks utterly abysmal. Like a cheap travelodge hotel or a Moscow low rise block. Is this the best we can do? Not sure if I've ever flats like that in Moscow. Could do with the addition of a roof terrace ?? If anyone making stupid comments like the above want to help the association building them fund additional alterations to make them more pleasing then please do not hesitate to get in touch with them!!! Same old same old from comments on here. I think people just think there is a bottomless pot of money to build exceptional architecture.